Despite the fact that South Carolina has lost about 1,600 miles of railroad since its peak in the 1920s the state is still home to more than 2,000 miles of trackage and its Port of Charleston remains an important intermodal artery that still sees rail service. If you are interested in South Carolina railroad jobs both eastern Class Is CSX and Norfolk Southern operate there (they make up nearly 87% of all operating trackage today) along with handful of shortlines. The state's traffic base is well diversified from coal and timber products to metals and chemicals. I have heard it often spoken by railroaders that a career in the industry is as much a lifestyle as it is a job because it demands such long hours and one is rarely ever home. Some who are railroaders claim they are not railfans and do not have much interest in the industry outside of it being their hobby. However, I think that you have to at least enjoy railroading a little to have a career that requires so much of your time. Because of this I would certainly take the time to decide if being a career railroader is something that you truly want to do. Of note, while smaller railroads do offer a better work schedule they, of course, cannot equal the level of pay that Class Is offer. In any event, if you are in college and are looking for an internship or summer position, especially if you are majoring in business, you might want to check out the programs some Class Is have to offer. Finally, I try to make sure the information presented here is completely accurate although I cannot always 100% guarantee such. Carolina Piedmont Railroad: This railroad is another of Genesee & Wyoming's large family of shortlines. 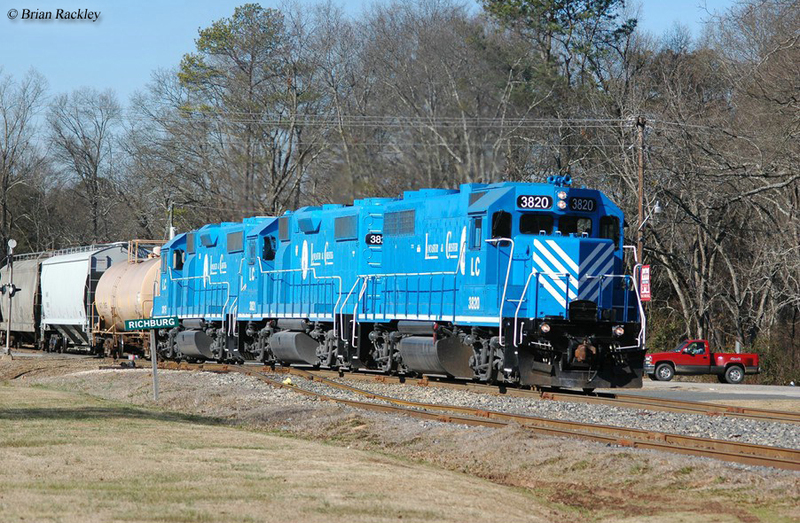 It operates between East Greenville and Laurens, where it interchanges traffic with CSX. Please visit G&W's main website for information regarding careers with the company. 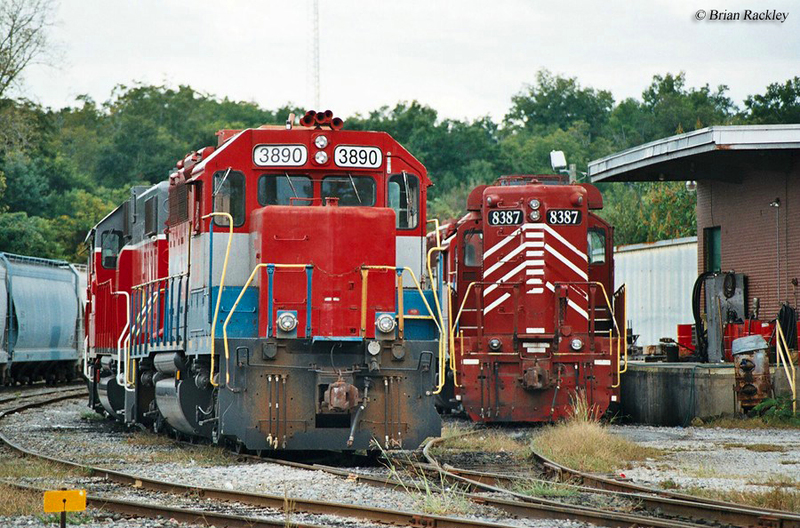 Carolina Southern Railroad: The Carolina Southern Railroad began operations in 1995 running between Mullins and Myrtle Beach, and also reaching into North Carolina at Whiteville and Chadbourn. Overall, the railroad owns almost 100 miles of track. It is currently a division of RJ Corman. East Cooper & Berkeley Railroad: This short line operates about 17 miles of track and runs between State Junction and Charity Church with a connection to CSX. It is a division of Palmetto Railways, owned by the South Carolina Department of Commerce. Greenville & Western Railway: This short line is owned by the Western Carolina Railway Service Corporation and operates right around 13 miles of track in Anderson County. Please visit the WCRS's website for contact and employment information. Hampton & Branchville Railroad: This historic shortline operates about 40 miles of track and dates back to the late 19th century. Today the railroad serves the counties of Hampton and Colleton. To contact the company; 100 Mill Street, P.O. Box 56, Hampton, South Carolina 29924. Lancaster & Chester Railway: The historic Lancaster & Chester Railway, also known as the "Springmaid Line" dates back to 1896. Today, it operates about a 30-mile system serving the counties of Lancaster and Chester. For information regarding job opportunities visit the L&C's main website. Pee Dee River Railway: This railroad is owned by the Aberdeen & Rockfish, a short line located in North Carolina. It operates 15 miles of railroad between McColl and Bennettsville. Visit the A&R's website for information regarding job openings. Pickens Railway: This historic shortline dates back to 1898, originally operating 9 miles between Easley and Pickens with an additional 29 mile line between Anderson and Honea Path acquired during the 1990s. Today, only the latter section remains in service. Please visit the Pickens' main website for contact information. Port Terminal Railroad of South Carolina: Based in the port city of Charleston this terminal railroad operates 10 miles of track serving both the port and nearby industries. It is a division of Palmetto Railways, owned by the South Carolina Department of Commerce. Port Utilities Commission of Charleston: This terminal railroad directly serves the Port of Charleston, operating 10 miles of track that connects with both NS and CSX. It is a division of Palmetto Railways, owned by the South Carolina Department of Commerce. 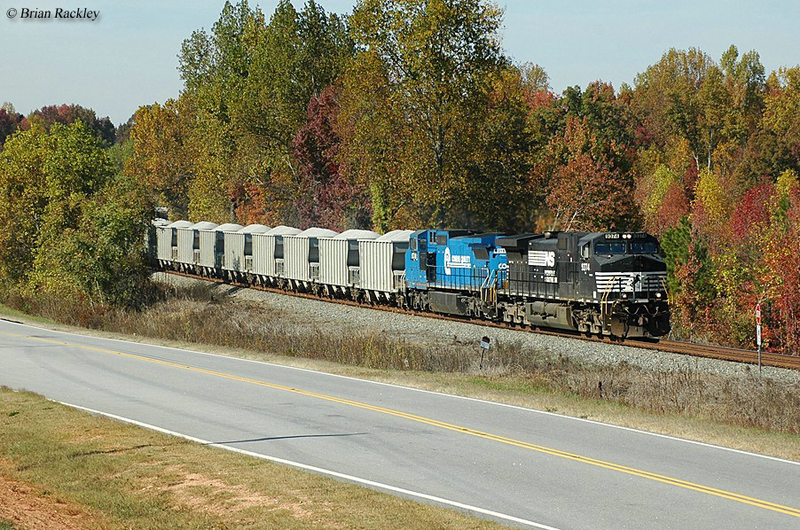 South Carolina Central Railroad: This short line is another of G&W's properties, operating 120 miles of unconnected rail lines serving communities such as Florence, Cheraw, Society Hill, and Bishopville. Please visit the Genesee & Wyoming website for career information.